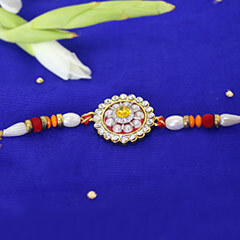 The flower-shaped intricately designed Rakhi is a perfect whom you love from the core of the heart. 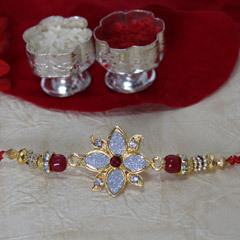 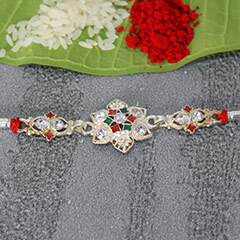 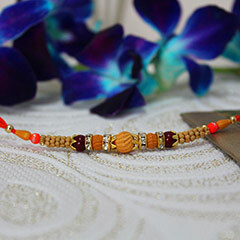 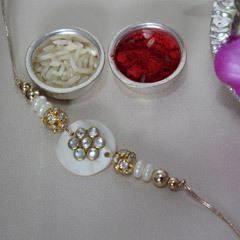 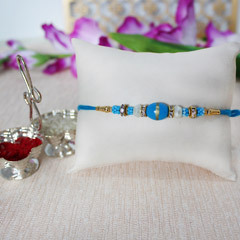 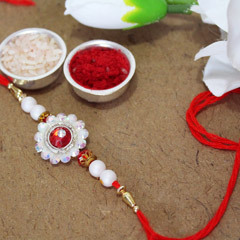 This Rakhi has red stone in the middle and is surrounded with silver stones all through; giving is a shiny flower shape. 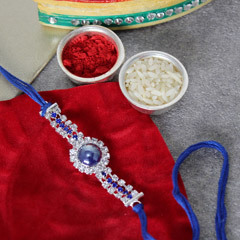 Roli Chawal with stunning silver containers is also made available for you.